G.Skill sends out word that Swiss overclocker Christian Ney has broken the DDR3 overclocking record by running a G.Skill extreme RipjawsZ 4GB DDR3 module at 3737MHz! The achievement was made on a Gigabyte GA-A75-UD4H motherboard with AMD A8-3870 APU. On 27th February 2012, the highest DDR3 memory frequency record was smashed again by the well-known Swiss overclocker, Christian Ney. 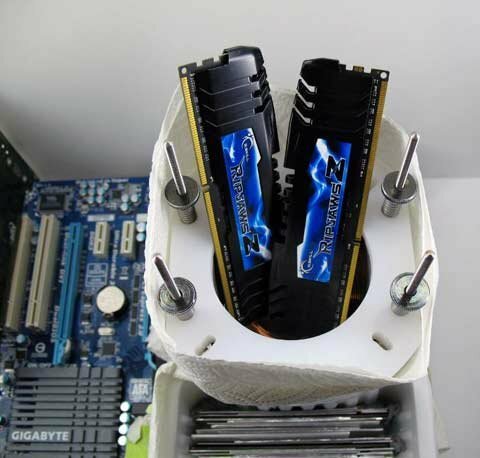 Using G.SKILL extreme RipjawsZ memory kit, Christian Ney has achieved the astonishing score of DDR3 3736MHz with 4GB high capacity memory stick. “It was a lot of fun while tweaking G.SKILL memory. You can feel the unlimited potential and always want to go higher and higher” said by Christian Ney. The record for the highest memory frequency has been validated by HWBOT, the widely recognized authority in the field of overclocking.